Experience A Bird's Eye View Of The Adirondack Mountains On A Hot Air Balloon Ride, A Memorable Adirondack Attraction! Escape the everyday doldrums and take to the sky on your very own balloon ride, a thrilling Adirondack attraction! 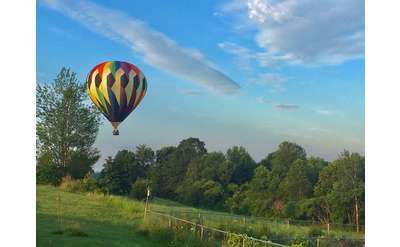 A hot air balloon flight is a great chance to not only enjoy the freedom of floating in a colorful balloon, but it also the perfect place to discover the spectacular scenery of the Adirondack Mountains!